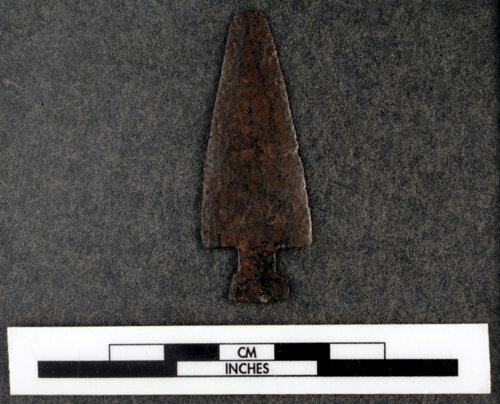 This metal arrow point was recovered from Russell County and donated to the Kansas Historical Society in 1902. The notched stem may have made it easier to haft the point onto the arrow shaft. Some metal points were made by Indians from scraps of metal such as barrel bands. Others were manufactured and traded to them by Europeans and Americans.